The hunting behaviors in dogs is one of the most dangerous of the natural behaviors that we, dog owners, have to deal with. Almost every dog has a natural tendency toward some predatory behavior which may be a challenge for pet parents. We see it already in the early months when our pups start chasing leaves and butterflies in the garden – which is quite cute and adorable. But, as our dogs get older, the hunting behavior can be dangerous if we don’t know how to handle it. We have a few tips for you! The cute puppy on your lap probably doesn’t need to hunt for a living, and today, most dogs do not hunt to eat. Hunger does not trigger the behavior, but sound, scent or sight of moving objects do. Even a small, quiet pup reacts to a leaping squirrel or the rustle of leaves. The urge to track and chase is ingrained in the psyche of the dog. The first and most important thing to address, are always the dog owners themselves. Many dog owners don’t fully understand how difficult it is to live with hunting behaviors. Things can easily go wrong and the dog can end up in a situation where his life or the lives of others can be endangered. As a dog owner you have to work hard to understand this behavior and to learn how to handle it. To begin (especially with young puppies) it is important to not encourage this behavior if you’re not planning to use it. Don’t encourage your pup to chase other animals in order to get him running (as a form of exercise). Your dog will like it, and it will become a habitual behavior. And with time, your dog cannot understand the difference of chasing a moving object in the back yard or a moving object on the other side of the road. 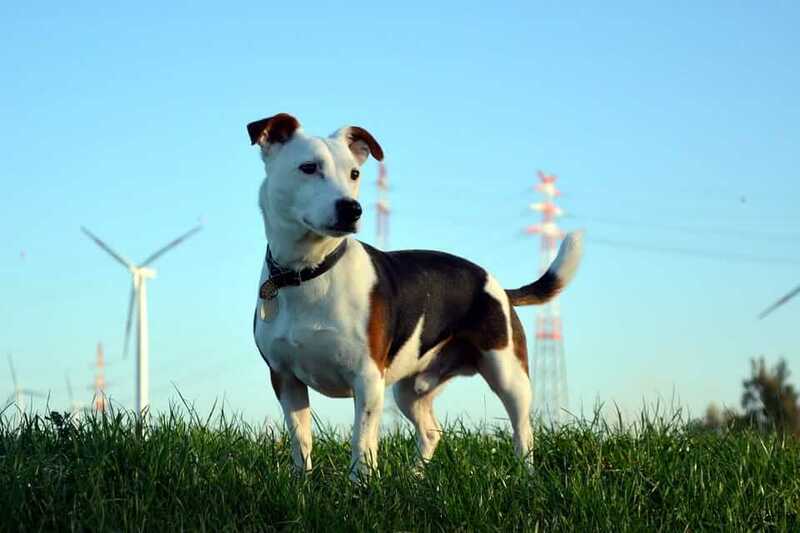 Your dog can pose a serious danger to himself and to others if he chases people on bicycles, motorized vehicles or animals across the road. Even if you are planning to use the hunting instinct or not, teaching your dog to come to you when you call is the most important lesson you can teach your pup. Enroll your dog in obedience classes while he is still young. One of the first things, and most important things, you will learn is how to get your dog’s attention. Having a reliable recall could save your dog’s life, and is the key to your dog’s success as a hunting dog (if your want to use your pet for hunting purposes). Dogs who respond quickly and consistently when you call can enjoy freedoms that other dogs cannot. They can play in the park, walk off-leash and keep out of trouble in most situations. If you walk your dog off leash, choose places and times when prey animals aren’t likely to be present. Many prey animals are active at dawn and dusk – try to avoid these times! It’s best to walk your dog during daylight hours. If your dog likes to chase cars, plan your walks away from roads. With the new Tractive GPS Tracker Hunters Edition you can locate your four-legged hunter anytime and anywhere directly on your smartphone. So if your dog runs off chasing a moving object you can turn on the LIVE-Tracking and see exactly where your pet is. The new Hunters Edition has a camouflage design fitting for the hunting season – or simply just for a cool new look. 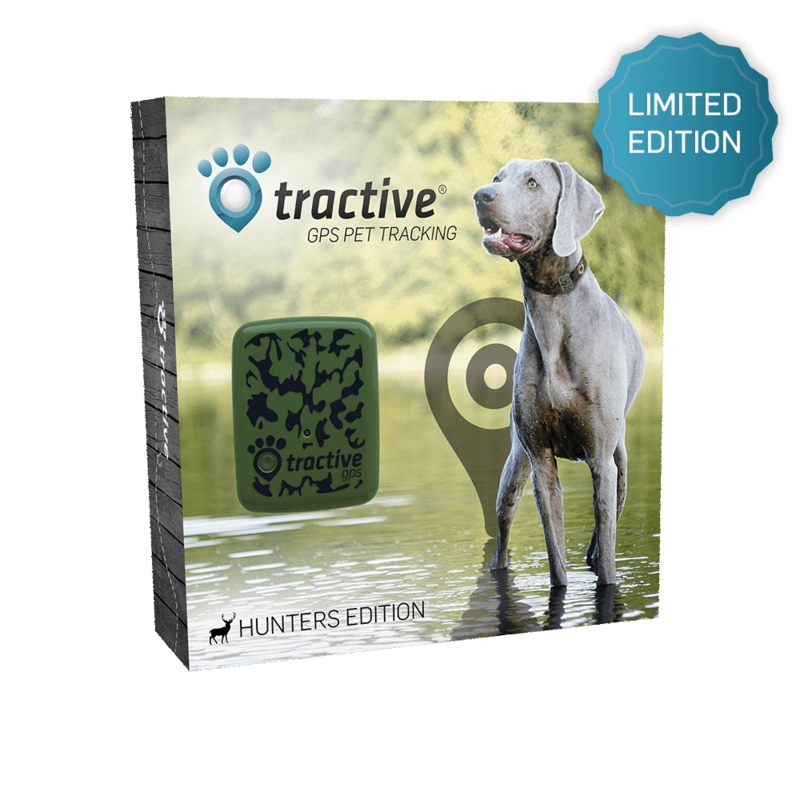 Get the limited Hunters Edition in the Tractive online shop. Do you have any experience with hunting behavior? Please share with us!